Hands up. Be honest. Who’s favourite holiday has rolled around for another year? Two hands up over here – we love Christmas! We could start listing all the things we love about the silly season; decorating the tree, dinner parties with friends, but of course, one of our favourite things is the unveiling of department store windows. We’ve searched through the cities and have found our favourite selection of dreamy, vibrant and comical Christmas displays. From Paris to New York, get ready to travel through the best festive windows of 2018. When it comes to Christmas windows, we can’t go past the legendary Harrods. 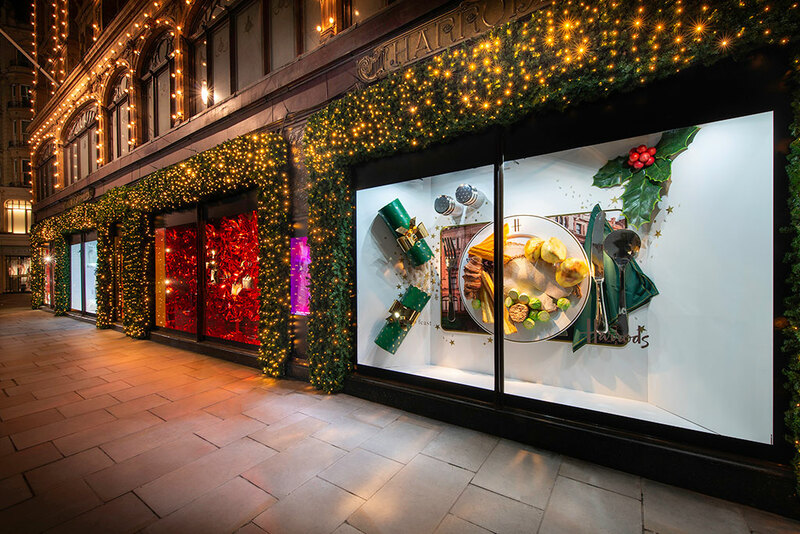 This year, the series of Harrods windows draws inspiration from our own visions of a traditional festive season; a fridge bursting with seasonal treats and parties filled with gold glitz and glamour. 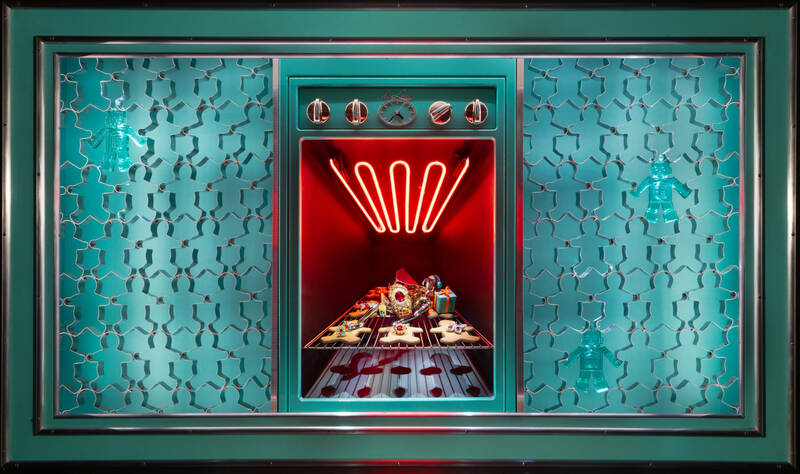 Designed off the concept of sensory storytelling, Harrods maintains its focus on luxury while relating to the themes that everyone loves and can relate to around the merry season. Harrods has mastered their designs by utilizing scale, repetition and colour… and also our love for roast potatoes. Christmas dreams became a reality this year as Galeries Lafayette Haussmann let the Parisian children bring the window characters to life from their imaginations. Children between 5 and 11 years old entered to draw their Christmas character and the winning drawings were chosen to be transformed into soft toys and displayed in the vibrant window display. 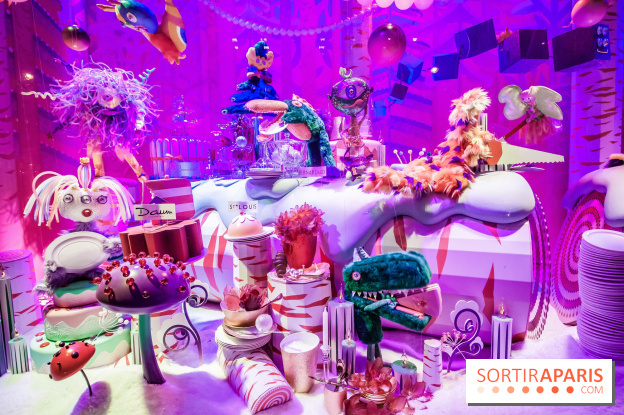 The imaginative friends can be seen enjoying a Christmas party in a candy forest. Quirky and crazy, the electric pink of the window is the opposite of the lime green that makes up the 2018 Christmas tree. The kaleidoscope of colours creates a magical experience as twinkling lights surrounding the tree illuminate to create an aurora borealis light show. Planned more than a year in advance, the Tiffany & Co windows are thought provoking designs that reference the past and the future. This year’s theme, “The Holidays Made By Tiffany” incorporates a retro vibe, hinting to the legacy of Gene Moore (Artistic Director). 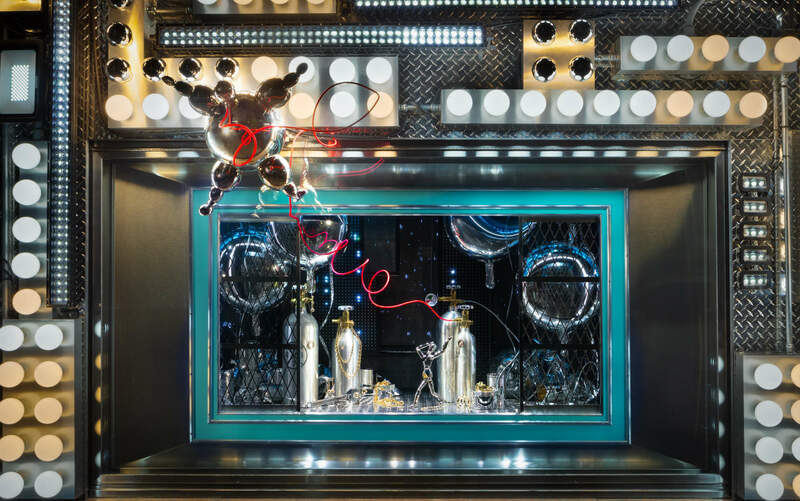 Capturing the spirit of ‘offhanded luxury’, the Fifth Avenue flagship store Christmas windows delightfully take you through a journey of discovery as tiny characters each play their part in the Tiffany Christmas story. 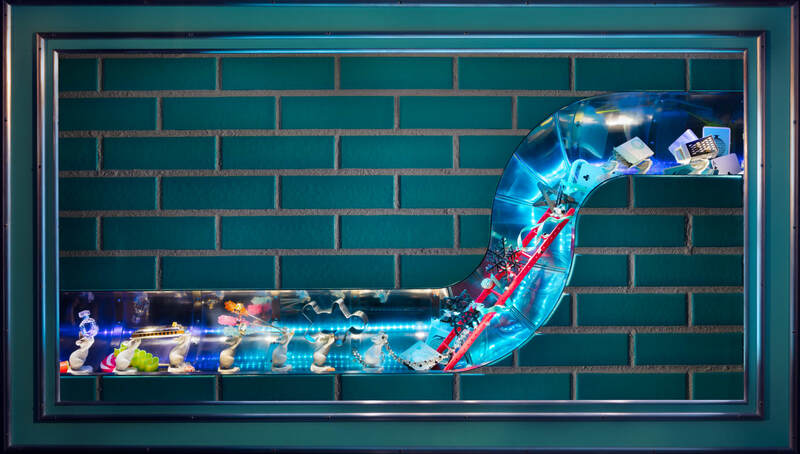 Like any piece of Tiffany & Co jewellery, the attention is all in the detail, ensuring viewers get up close and personal with the windows to make sure nothing is missed – not even the mice on the run with diamonds and cookie cutters in tow. No matter where you are on Christmas Day, one this is for sure; food is everything. It’s the event that the day revolves around, from breakfast mimosas to pavlova dessert; there is no denying the love of food at Christmas. 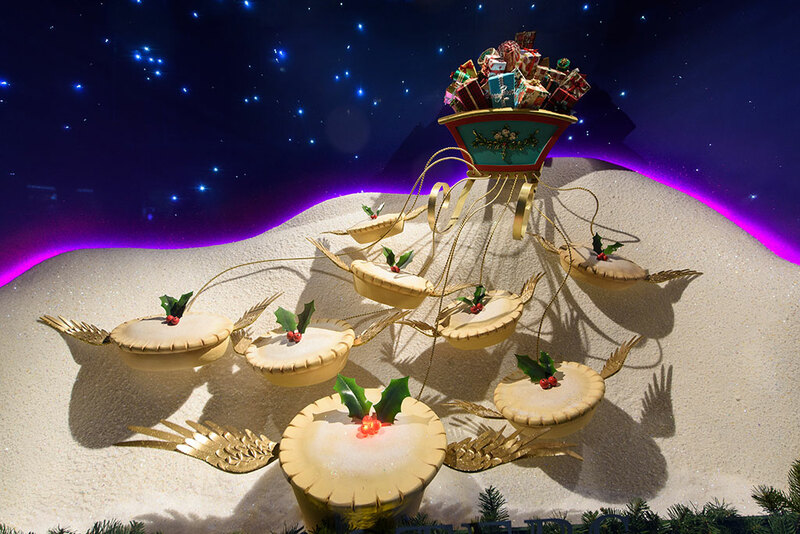 London’s Fortnum & Mason channels the decadence of Christmas cuisine into their eight windows this season. 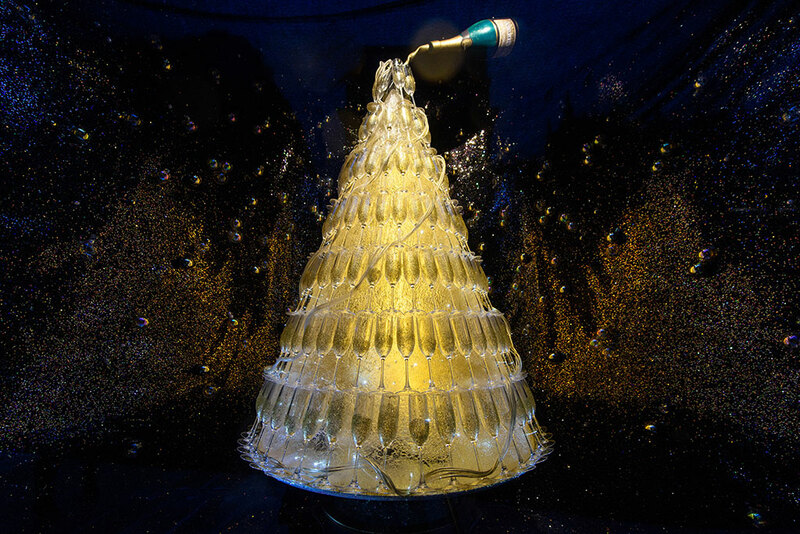 With an entire Christmas tree made up of champagne glasses, you can practically hear the fizz, clink and pop. In another, a turkey in a paper hat can be seen bursting out from a giant cracker, surrounded by its glittering trimmings. A metallic lobster also features, with gold prawns standing to attention; while a herd of mince pies pull along a sleigh. 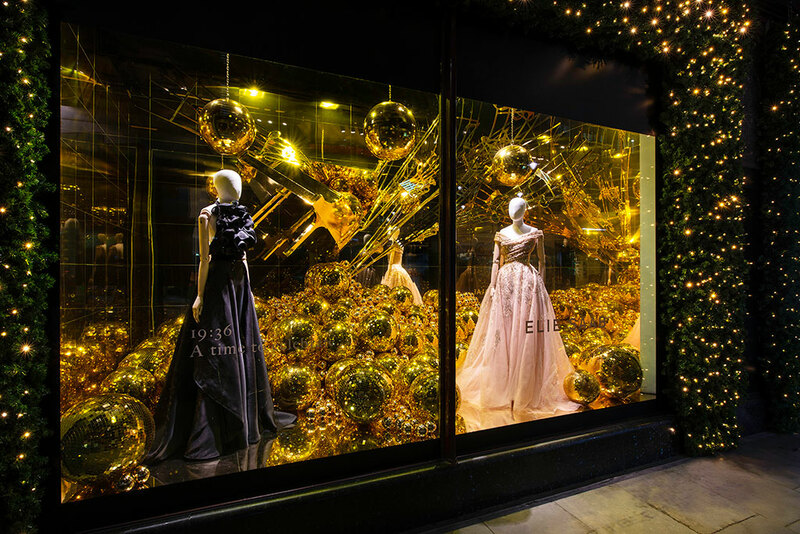 An ode to the grandeur of Broadway, Saks Fifth Avenue have elevated their flagship store by featuring the dreams and the decadence of a Christmas spent in New York City. Each window features a mannequin in a still from their production; pondering their devotion to shoes or entering a styling suite where their wardrobe dreams come to life. Each window features a glow from a single colour; green for the wicked indulgence of shoes surrounded by opulent forest green Christmas trees or pink, casting over the woman who rests behind her rose tinted eye-mask as strawberry trees and blush boxes surround her elegant lounge chair. 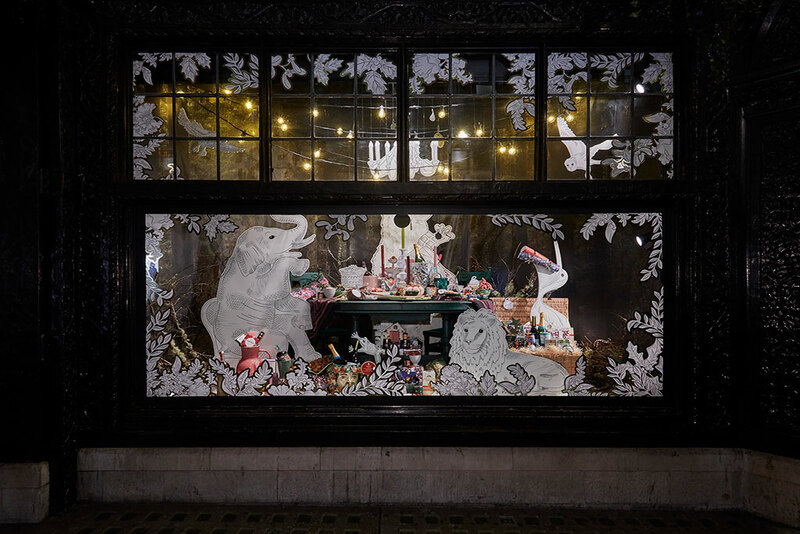 An enchanted world of personified animals, prints and patterns encompasses the windows of Liberty London this year. Cheeky monkeys among Manolo Blahnik’s and pelicans trying to fill their stomach with toys; the chaos of Christmas ensues! The iconic textures and colours of Liberty fabrics fill the windows with inspiration for shoppers while the balcony above is lined with twinkling trees. The interior of the department store continues the mischievous theme with a hot air balloon taking flight as surrounding railings are lined with the furry paws of lions and bears. All of the animals came to life from the hand of print designer, Ffion Griffith. We hope you enjoyed journeying through our favourite cities with us. 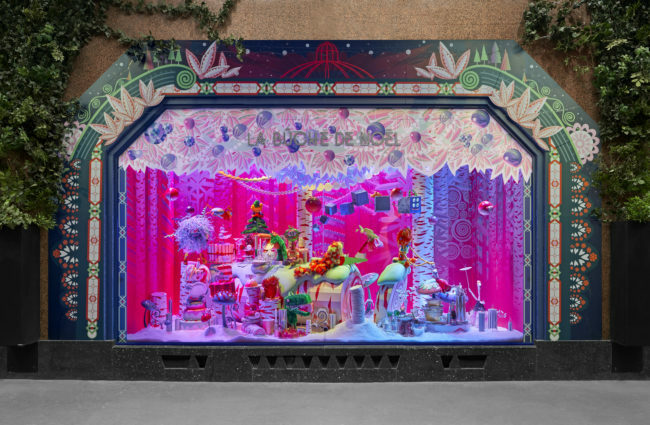 There are always too many to fit into one blog post, so make sure to also check out the windows of Macy’s, Barney’s, Harvey Nichols and Bloomingdale’s for more Christmas window inspiration.